Please note as of January 2014, that SB chapter is closed If you want to be added to SB waiting list, please send a SB application_ and contact the QM. Interested in Joining The Social Butterflies? We0 would love to have you join us! Are you BRAND NEW to Red Hatting? 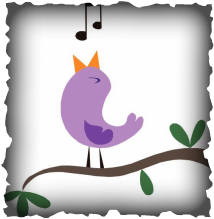 go to our "Events" page and click on the month of your choice for a list of events. immediately. but if you would like to put on our Waiting list then send in your Application. received at our Planning Meetings in January & June each year. the Queen Mum to email the application form to you. [To copy & paste the PDF: click anywhere in the form and then click the "Ctrl" key and the "A" key and that will "select" it all, then right click and choose "copy" then open your "word" and right click on a blank page and choose "paste" and the form should open up there and you will be able to fill in the form. To print the PDF form: click on the "printer" in the bottom right corner [just put your cursor over that area] and it should appear. To join the Red Hat Society click on the logo above. is currently open for new members; this could change by majority vote at any time. Mum, may lose her place on the roster. a continuing interest in Social Butterflies, they will remain members in good standing. Visitors at any event are always welcomed to attend whether or not their ensemble is complete. one in time. Just ask the Queen Mum in advance! on the month of their birthday with extended birthday wishes. 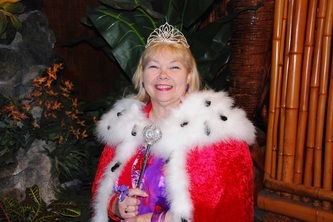 and a posted photo of you every year on your annual birthdays; SB celebrates your "special"
opportunity to mingle with other RH groups; if you enjoy playing games we host a "Game Time"
RHS news and local groups events; and to be part of one of the fabulous Red Hat Society groups! Contact QM to be added to the waiting list. 4. Discuss membership, and we can answer any of your questions. How do you join the RHS? You contact the RHS by phone or email and request to become a member. Once you pay your $30.00 you will receive your "New Member" package that will include a red hat, RHS "getting started" and your "member's handbook", a membership card that you will need to show at each event you attend, and RHS stickers. Each year you renew you can purchase a new RHS pin and a new membership card. about paying dues and Red hatting? Are you a Red Hat Lady if you do not pay your $30 yearly dues? Why do you have to pay $30 to the Red Hat Society? are they still a Red hat group? as posted on the QMB. "We think that we all agree that RHS events are for RHS Members. Guests are always welcome, that's why we created Meet & Greets, Invite a Friend Days and World Wide Hoots. Those are perfect venues to share with new women and non-supporting "members". Is it a Red Hat Society Event or Not? 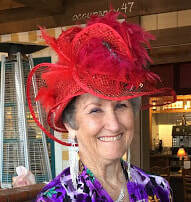 If there is an event in your area that allows anyone to attend, it's not a "Red Hat Society" event. It's a general women's event. As Members, we don't usually support these events. As an Ambassador, the exception is when with support of the hostess, you are encouraged to have a Membership table at the event." WHO CAN CALL HERSELF A "MEMBER" OF THE RED HAT SOCIETY? Anyone who is part of an Official registered RHS chapter whose information (name, address and email) has been submitted for inclusion in the Hatquarter's database is a member of the Red Hat Society in the eyes of Hatquarters. With this information we will know who our members are. We certainly do expect chapters and members to pay dues to belong to RHS. It's a nominal fee and anyone who does not participate (by paid membership), but pretends to be part of Red Hat Society, is in violation of our intellectual property and other rights of RHS. 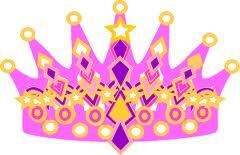 Chapter Queen Registration is $49 annually. This includes the Queen’s personal Supporting Membership in the Society, plus the legal chapter charter, etc. New members joining Red Hat Society pay $30 annually each to join. Existing members pay $30 annually each to continue to belong to Red Hat Society. Attendees to RHS sponsored events and multi-chapter events must be paid Supporting Members. Only one Supporting Membership in the Society is required, it is good wherever you go. For ladies in multiple chapters, pick one as "home" and give your Member ID information to the other queens for their records. This $30 (approx 5 cents a day) is a Membership fee to belong to Red Hat Society. It is not a discount's program. Membership is what entitles one to legally belong to RHS, grants name and brand identity usage, and to use all tools and services RHS provides. Read this! RHS Hatquarters latest membership update Effective January 1, 2012: "In an effort to ensure the continued Legacy of our Society, the RHS expects all Members to keep their Membership dues current. If, for unforeseen circumstances, a Member does not pay on time and calls or mails in a payment at a later date, their Membership is retroactive to their original anniversary date and is good from one year from the anniversary date. If it is over a year or more, it is expected that Members will pay the retroactive fees associated with the Membership and/or Chapter charter not to exceed the current year and one previous year's dues ($78 for Queens and $40 for Supporting Members) and the current year's Membership kit will be sent out." International Sisters are encouraged to email Hatquarters at askruby@redhatsociety.com for help with their renewals, if lapsed. Until January 1, 2012, Members who are a year in arrears will be able to renew and just pay $30. If you are behind on your dues, renew before January 1st to take advantage of the current policy before the new policy goes into effect! If you have specific questions about how this policy may affect your late renewal, please contact us at memberservices@redhatsociety.com. A COMMITMENT to our RHS Legacy! A COMMITMENT to the RHS Legacy! 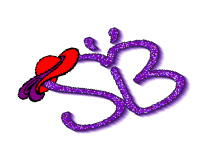 This SB signature/banner was designed for the QM specifically for SB.